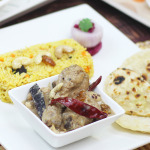 Shahi Chicken Chaap is a Rich Traditional Mughlai Preparation. 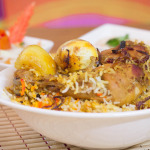 It is best accompanied by Indian Naan, Paratha, Pulao and even biriyani. 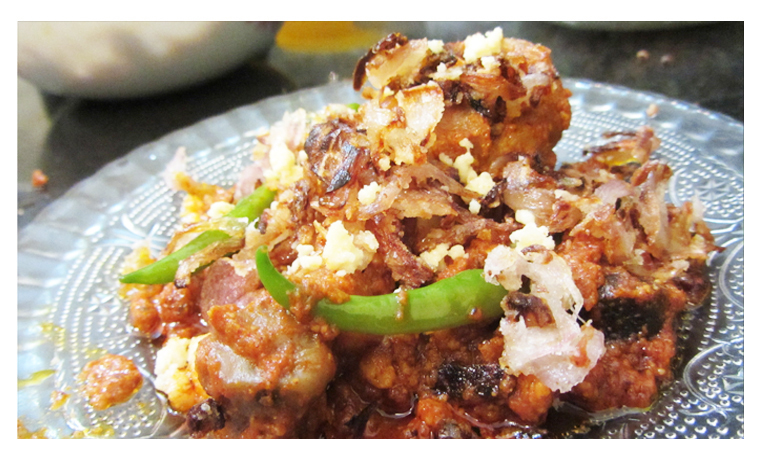 A must try recipe for chicken lovers. Tomato puree or sauce: 4 tbsp. Salt and sugar to taste. Marinate the chicken pieces with salt and lemon juice(or vinegar) for half an hour. Add oil in a frying pan over high flame. When oil is well heated, add the marinated chicken pieces one by one. Fry them until it turns nice light brown. Don’t fry them too much. It will become rubbery. In another pan, add oil. When heated, add half of the chopped onion and fry them until it becomes nice golden brown. This is called onion beresta. Don’t burn it. Keep it aside for garnishing. In the same pan, add whole spices( cardamom, cinamon, cloves, bay leaves). Let it splutter. Add remaining chopped onion. Fry them for 2 minutes. Now add the fried chicken in the pan. Saute it over low flame. Cover it. In the mean time, let’s make the gravy. Take a bowl. 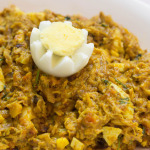 Put curd, onion, garlic and ginger paste, fennel paste, cumin powder, kashmiri red chilli powder, nutmeg and mace powder, poopy seed paste, tomato puree or sauce, salt and sugar. Mix it well. Gravy is ready. Now pour the mixture to the chicken. Cook the chicken over high flame for 5 mins and cover the pan. Check it so that it does not burn from the bottom. After 5 mins, stir the chicken and cook them for another 8-10 mins over low flame. Now add mawa. When you add mawa, gravy will become thick. Cook them for 1 min. Finally add slited green chilli, 1 tbsp ghee and alu bukhara(optinal). Mix it. 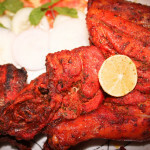 Shahi chicken Chaap is ready. Serve it in a nice bowl. Good way of explaining, and pleasant paragraph to obtain data about my presentation focus, which i am going to present in school. thanks.. Your chicken chaap is also good..